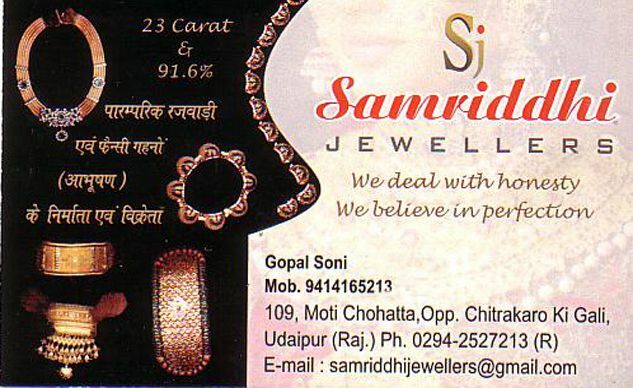 Samridhi Jewellers is an one of the trust worthy jewellery shops in Udaipur. They deal in honesty and perfection. They are manufacturer and dealer of traditional, fancy and rajwadi gold ornaments.